I like to do something fun to tell the to-be grandparents about the upcoming new baby. With E, we simply called on the phone. 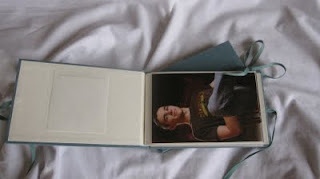 With N, we sent each family a card decorated by E, with a photo of E in a big sister shirt. 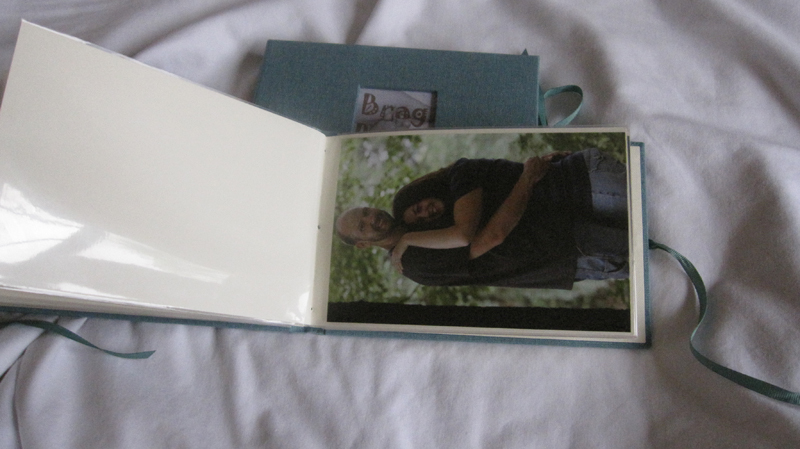 This time, we sent a photo brag book. A great idea for my parents, as this is grandchild #11. 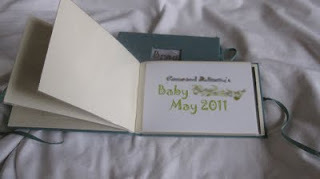 A great idea for Jude's parents, as this is grandchild #5, but the third one in 2011. 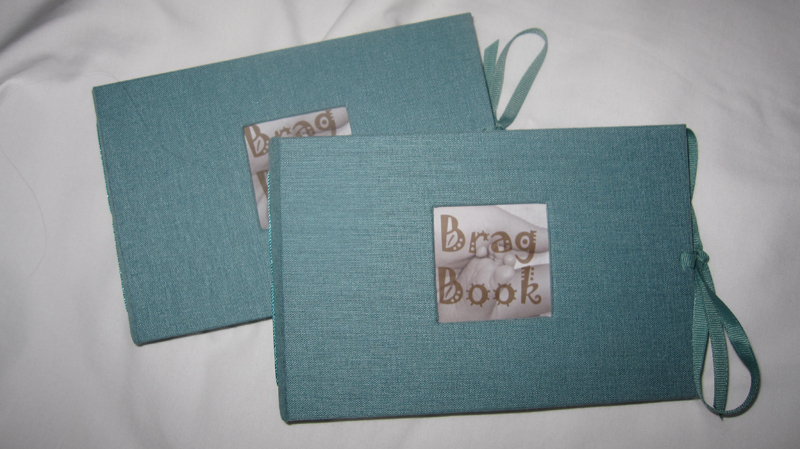 Here are some snapshots of the brag books I put together. 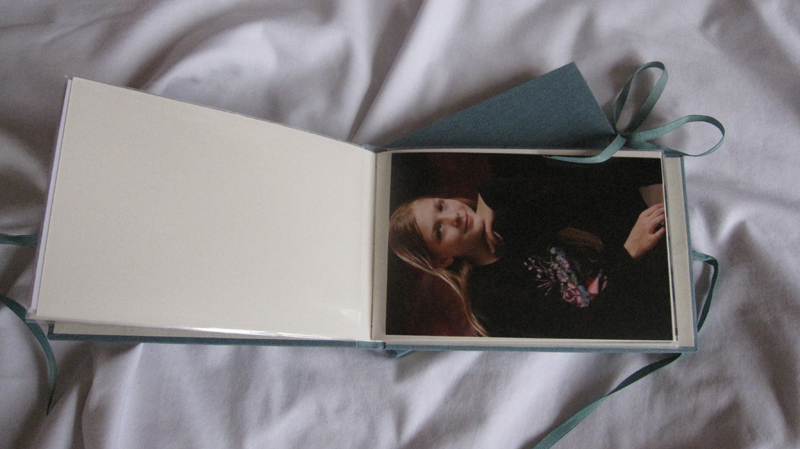 These were very easy to prepare - I purchased some Kolo Noci albums for 4x6 photos, with photo sleeves. 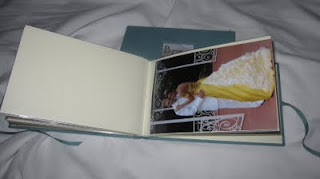 I love the Kolo albums - I first discovered Kolo when creating my wedding album, and I have purchased some of their larger 4x6 albums for baby photos. 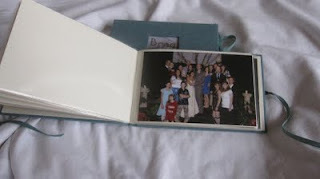 The quality is great - hardcover clothbound books, with archival safe paper and plastics, and simple, clean pages. 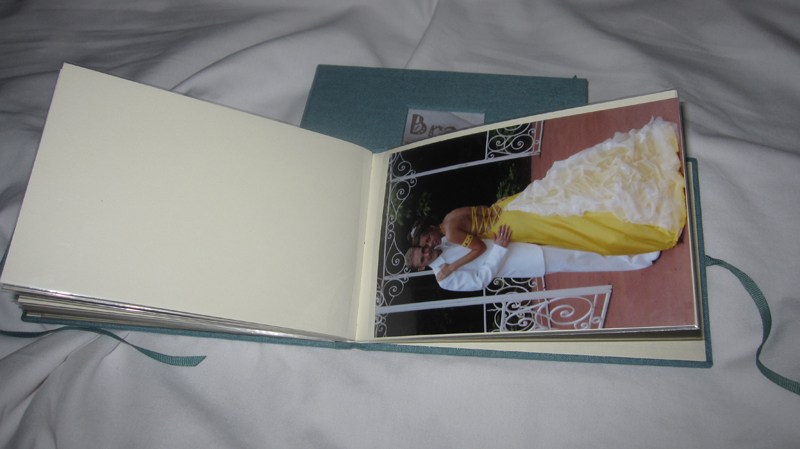 No lines asking to be filled (I hate lines in photo albums!) They are durable and beautiful. 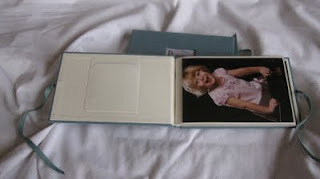 I thought the grandparents deserved more than a disposable plastic mini-album such as those available locally. All of the portraits were taken by my husband, Jude. 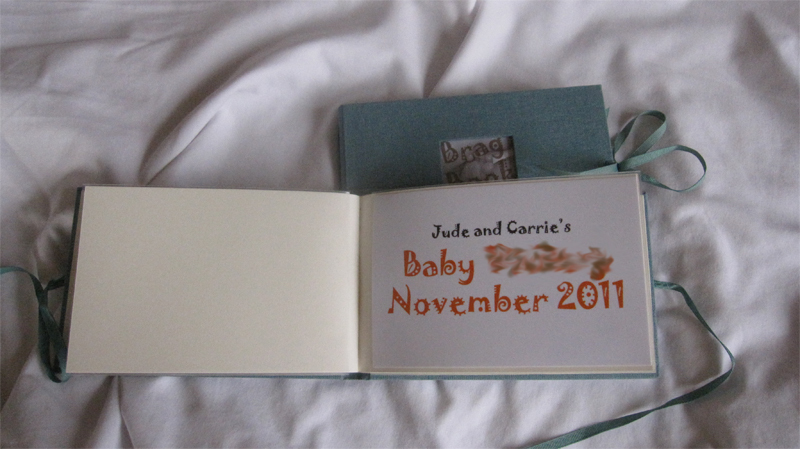 Since Jude's parents only had 2 out-of-womb grandchildren at the time I made these, I needed to fill the book more. So I made place holders for the other two soon-to-arrive babes, and placed them in order in the book, along with ours. 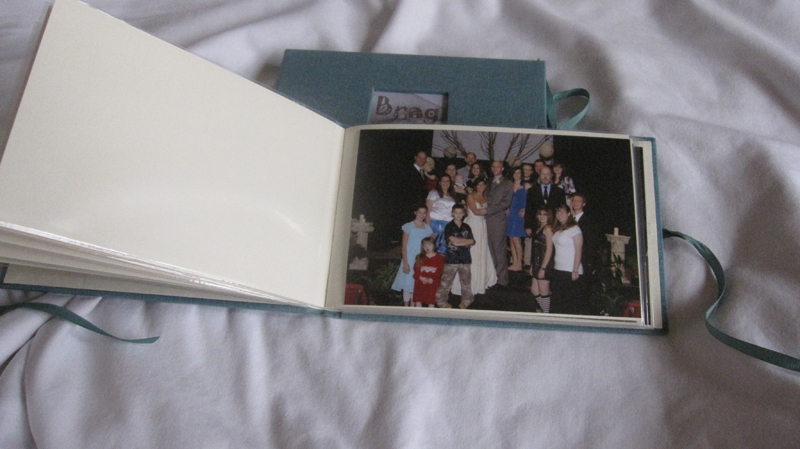 Still, that only filled 5 of the pages, so I added in some family photos. It is a brag book, and the older children are spread around, so why not show them off, if people ask? And more often than not, photos from some of the weddings. I printed photos from home, and put these together in just a few minutes. And now the fun part (for you): A giveaway! If you'd like, you can share this on twitter, or facebook, or you could subscribe to my blog (email, rss, GFC, whatever) but that won't get you any bonus entries. Just helps to share the love! i announced this pregnancy to my husband by attaching the positive pregnancy test in a special place where he would see it. he went to get his item, and the pregnancy test was sitting there, taped to it. when i told my mom about my second pregnancy, i showed up at her house with a gift wrapped box, and told her i picked her up something at the mall on my way home from work, and inside it was the positive pregnancy test. 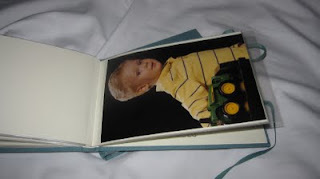 Well other than yours I have seen people post sonogram photos as their Facebook profile. I know that doesn't work so well for you but I always thought it was fun. I announced my first pregnancy to my mother and mother in law, by giving them a pregnant bear in the Cherished Teddies line of figurines. My mom took a minute to figure it out and thought "why is she giving me a fat bear?" and my mother in law understood right away! It was fun! We found out we were pregnant with our second child right before christmas one year. So, when I sent out Christmas cards I signed it from me, my husband, our daughter and "the peanut". I got some interesting phone calls that year for christmas! I think a cute way is to stop off at the person's house (if you can) and bring some muffins as "buns" and say "we have a little bun in the oven!"